According to Injury Lawyer News, a Pennsylvania appellate court upheld a $32.8 million verdict for a toddler with spastic quadriplegic cerebral palsy (CP) who suffered fetal oxygen deprivation and permanent brain damage during delivery. The verdict, which was upheld on July 8th of last year, secured funds for the child’s anticipated health and medical expenses, past and anticipated economic losses, and future earnings. $31 million of the settlement was reserved for the child’s future medical treatment, therapy, and lifestyle adjustments. Children with spastic quadriplegic cerebral palsy often require expensive medical attention, intensive therapy, and round-the-clock care. Case details presented at trial show that the nurse who had hooked the mother up to the fetal heart monitor was not properly trained to monitor fetal heart tracings, and thus did not notice when the baby’s heart rate rapidly dropped from 120 to 60 BPM. Allegedly, the nurse in question requested the help of a senior labor and delivery nurse to no avail. Both nurses failed to notify the obstetrician and, after almost an hour from the onset of the heart deceleration, the baby was delivered by way of an emergency Cesarean section. The baby was non-responsive upon delivery, so she was transported to another hospital and diagnosed with hypoxic ischemic encephalopathy (HIE). The child, who is now three years of age, has a spastic quadriplegia. Spastic quadriplegia is a form of spastic cerebral palsy characterized by spasticity and compromised movement of all four limbs. It is critical for medical professionals to properly monitor an unborn baby’s cardiac and physical activity through the use of fetal heart rate monitors. During labor and delivery, expectant mothers are hooked up to fetal heart rate monitors so nurses, physicians, and other labor and delivery professionals can detect potential problems with the fetus’ health. Abnormal fetal heart tracings, which indicate the baby is in distress, require quick attention and action by medical staff. Signs of fetal distress often indicate the baby is not getting enough oxygen. When babies in distress are not delivered swiftly, they risk suffering permanent brain damage and hypoxic ischemic encephalopathy, just as the baby did in the aforementioned case. To learn more about fetal heart rate monitoring errors and medical malpractice, visit this page. When a fetus is in distress, it is crucial that he or she is delivered immediately to avoid fetal oxygen deprivation or death. Depending on the specific circumstances and severity of the situation, an emergency C-section delivery should take place five to thirty minutes from the time the medical team decides to perform the operation. Many obstetrical emergencies require C-section delivery much sooner than thirty minutes—some of these emergencies include cord prolapse, uterine rupture, or slow fetal heart rate (bradycardia). As we discussed, the baby in the aforementioned case experienced bradycardia. Because her emergency C-section operation occurred roughly 50 minutes after the obstetrician should have been notified about the emergent condition, she suffered permanent oxygen deprivation and was diagnosed with hypoxic ischemic encephalopathy (HIE). To read more about delayed C-sections, visit this page. As we discussed, the child in the Pennsylvania case was diagnosed with hypoxic ischemic encephalopathy (HIE) after delivery. Hypoxic ischemic encephalopathy (HIE) is a dangerous, permanent form of brain injury that occurs from a shortage of oxygen and blood flow to the baby’s brain around the time of delivery. HIE is also known as birth asphyxia, intrapartum asphyxia, or neonatal encephalopathy (NE). When understanding hypoxic ischemic encephalopathy, it helps to dissect the term itself. “Hypoxic” refers to hypoxia, which is marked by a decrease in oxygen flow to the baby. “Ischemic” refers to ischemia, which is marked by a decrease in blood flow to the baby. Encephalopathy refers to anything that changes brain function or structure. HIE can result in neurological, neurodevelopmental, and physical problems including cerebral palsy, intellectual and developmental disabilities (I/DD), seizure disorders and epilepsy, learning disabilities, and movement disorders. Besides hypothermia treatment, there is no known cure for HIE. However, many forms of therapy exist to improve the conditions and limitations associated with HIE. To read more about hypoxic ischemic encephalopathy, visit this page. “Spastic”: Spastic cerebral palsy is classified based on the area of the brain damage. In cases of spastic cerebral palsy, damaged areas of the central nervous system communicate responses to the body that result in movement impairments, most of which are marked by muscular tension. Spastic cerebral palsy is the most common form of cerebral palsy, occurring in 80% of all cases. “Quadriplegic”: Quadriplegic cerebral palsy is classified based on affected limbs. In cases of quadriplegic cerebral palsy, all four limbs are affected. Quadriplegia is closely associated with spastic cerebral palsy. To learn more about spastic quadriplegic cerebral palsy, visit this page. 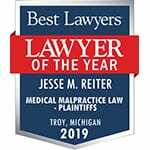 With nearly three decades of specific experience in the field of birth injury law, the birth trauma attorneys at Reiter & Walsh ABC Law Centers have the skills and knowledge necessary to win complicated cases related to fetal oxygen deprivation, cerebral palsy, and HIE. 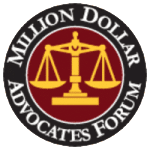 If your loved one was diagnosed with cerebral palsy, hypoxic ischemic encephalopathy, or another disability that you believe resulted from medical malpractice, please reach out to our legal team today. Our Detroit, Michigan birth injury lawyers will provide you with a free case review, answer your questions, and inform you of your legal options. We are available to speak with you 24/7, and you may contact us in whichever way best suits your needs. You may press the Live Chat tab to the left of your browser, email us, call us toll-free at 888-419-2229, or complete this online contact form. “Court Upholds $32.8 Million Verdict in Cerebral Palsy Lawsuit.” Injury Lawyer News. N.p., 17 July 2015. Web. 28 July 2015.